On Tuesday, we shared a video of a camera showdown pitting the Galaxy S8 against the iPhone 7 Plus. The results were somewhat inconclusive when it came to deciding on a winner, but it appears that the Galaxy S8 features a better camera than the iPhone 7 for certain environments and slightly worse in others. While the camera might not be the most hyped feature of the upcoming Galaxy S8, it’s still a vital component for any smartphones. 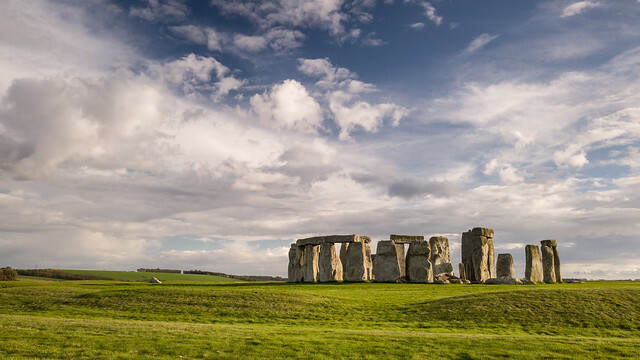 That’s why Samsung commissioned a study to determine the twenty greatest British views, featuring photographs of gorgeous British vistas shot on the Galaxy S8. Don't Miss: How badly do you want this stunning Galaxy Note 8 concept to be real? “We wanted to mark the launch of the new Samsung Galaxy S8, with its unique and groundbreaking Infinity Display, by celebrating the beautiful views in our country of mountains, highlands, beaches and urban skylines that are best enjoyed unconfined,” said Sam Grant, Marketing Director at Samsung Electronics UK. According to the specifications page for the Galaxy S8 on Samsung’s wesbite, the dual pixel, 12-megapixel camera on the Galaxy S8 features an F/1.7 aperture, a pixel size of 1.4µm, a sensor size of 1/2.55″ and can zoom in up to 8x. Galaxy S8 owners will also be able to switch between pro mode, panorama, slow motion, hyperlapse and food mode and can even save photos as RAW files to edit later. Samsung’s Galaxy S8 is available for preorder now and will begin shipping later this month.